Attending Quality Talks? Download our mobile app now, available free on iPhone and Android. 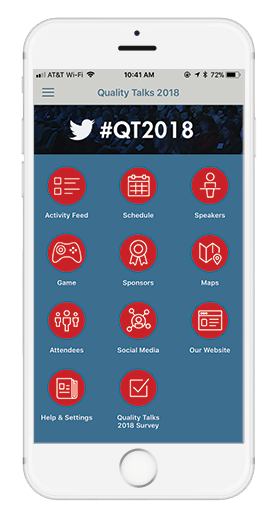 The app is your one-stop to access latest updates about Quality Talks and tools to optimize your Quality Talks experience. Get agenda and speaker info. Share on social media and see what other attendees are posting. Get points to win prizes, just by using the app! Search for “Quality Talks” in the Apple App Store or Google Play to download the app.